1937 — The Beached Margin. Tempera paint on canvas on wood. Surrealism style. 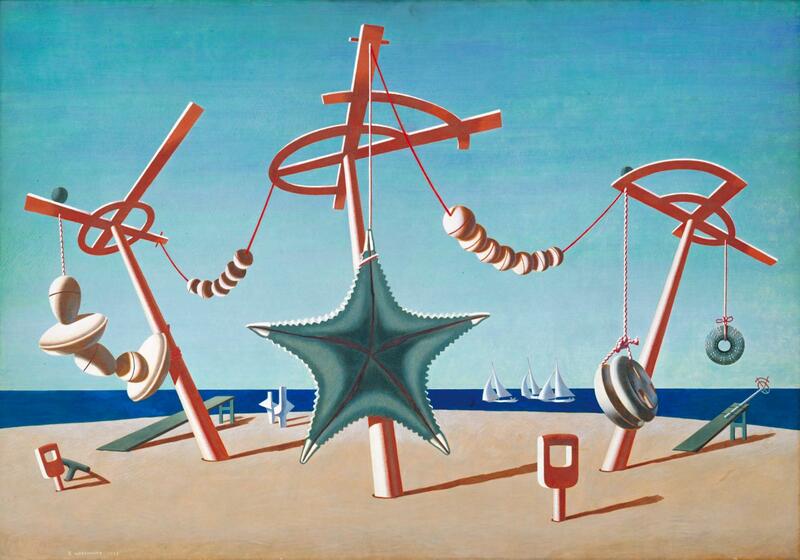 Edward Wadsworth (1889-1949), Tate Gallery, London, UK.